A screenshot of the app shows the animated mobile ticket. As the No. 7 bus approaches the B Street stop, its display flashes the warning to riders, HAVE FARE READY. While most riders prepare to board as usual by pulling out their wallets, some are now reaching for their smartphones to produce their ticket. Compass Cloud, a smartphone app created by San Diego MTS, aims to eliminate fare anxiety and make riding public transit easier and more accessible. With the mobile ticketing app, riders can avoid the stress of frantically digging through their pockets as they board to find exact change, or worse, the dread of forgetting to reload their Compass Card and having to find another way home. Now, as long as you have your smartphone, you always have your fare ready. Through the app, users can purchase one-day or 30-day adult passes for MTS Bus, Rapid, Trolley, NCTD BREEZE, SPRINTER, and COASTER. Users can save payment information for credit, debit, prepaid debit cards, or paypal accounts in the app to purchase passes in seconds. Passes are instantly activated for immediate use; riders need only tap on the pass and show the MTS operator or fare enforcement agent the colorful animated ticket on the screen. One-way tickets are not available (except for COASTER), and discounted day passes for youth, seniors, Medicare, and people with disabilities are not available. The free app is available for download through Google Play for Android devices and the App Store for iPhones. Compass Cloud’s release in 2017 precedes the MTS Transit Optimization Plan (TOP), which launched its first phase in January 2018. According to the TOP published on the MTS website, the transit system has suffered a loss of about 4 million bus and trolley riders from 2015 to 2016. This plan also reports, “only 43 percent of the cost of providing service is currently recovered through the fares that passengers pay,” while the remainder of the cost is subsidized by taxes. A mobile ticketing app will likely improve rider accessibility and help MTS compete with rideshare apps like Lyft and Uber. 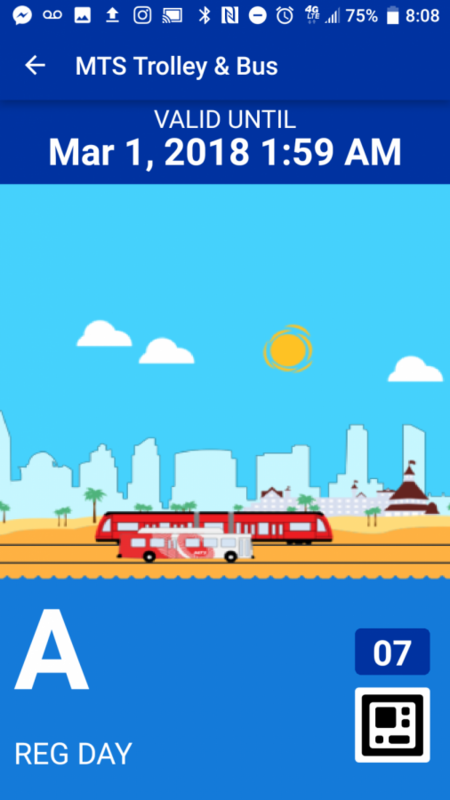 Still, with only 10,000 downloads on the Google Play Store, Compass Cloud is a very small part of MTS’ effort to remain a viable transit option for San Diegans.